Plasma is a clear, yellowish liquid part of the blood system. Plasma accounts for approximately 55% of your total blood volume and includes water, antibodies, clotting factors and other components. Its key objectives are to transport water and nutrients to your body’s tissues. 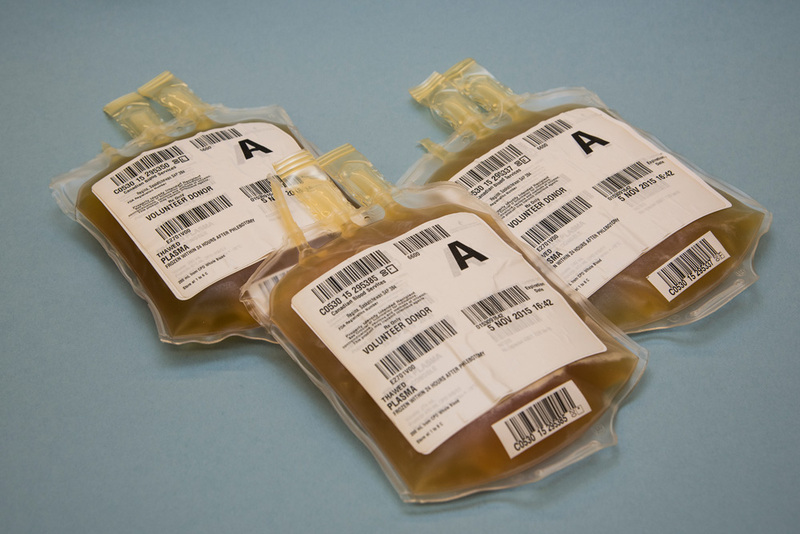 The proteins in plasma also help to fight disease.The Canadian Blood Services collects and prepares various forms of plasma for transfusion in Canada. Plasma is derived either from random donor plasma or apheresis donors. Plasma can be used for blood transfusion as frozen plasma which is frozen within 24 hours of collection or as Apheresis Fresh Frozen Plasma that is frozen within 8 hours of collection. A portion of plasma collections are directed to plasma fractionation plants to be processed and separated into specific products such as IVIG.